It's the latest Star wars game for our iOS devices. It's an augmented reality game. Enjoy! We've seen these kinds of games before, but admittedly Star Wars: Falcon Gunner looks to be a fairly high quality effort with a nicely modeled gunner interior and the wonderful authentic Star Wars music and sound effects that I'm such a sucker for. 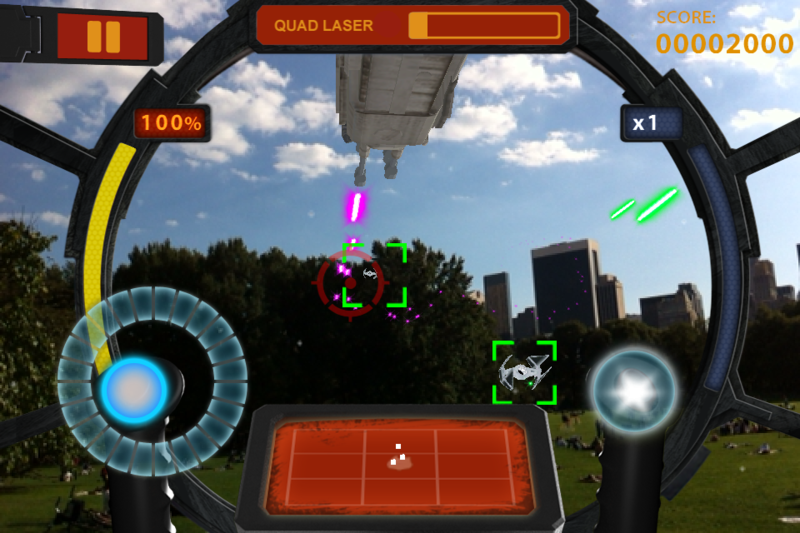 You'll be able to point your device's camera at anything and watch the onslaught of TIE Fighters and other enemies come gunning for you, which leaves open the possibility for some humorous dogfighting locations (“Imperial TIE Fighter heading straight at us from the litter box sir!”).